I have been to the River Safari few years back when the panda celebrity Jia Jia and Kai Kai first came to Singapore. I went back to revisit them again last month, just to check how they are doing. 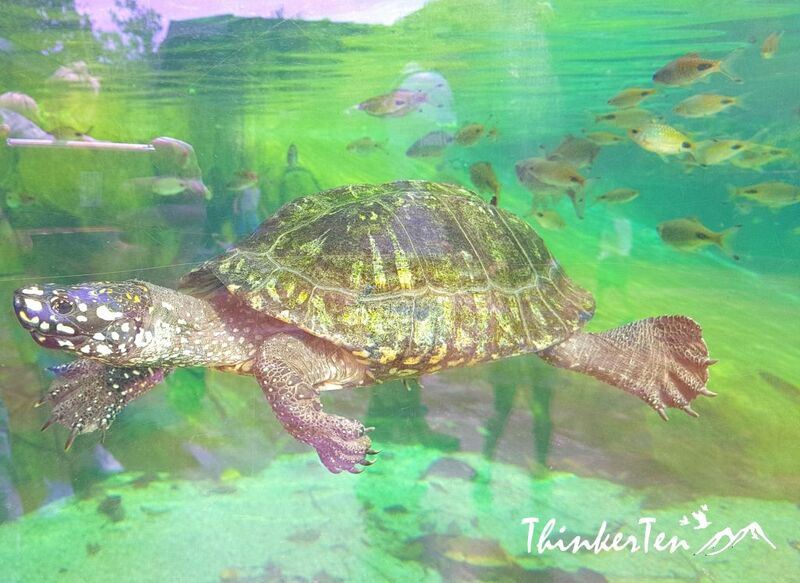 River Safari is a river themed zoo and aquarium built over 12 hectares beside Singapore Zoo and the Night Safari. You can also do three park in day. There are few themes in River Safari which including the River Nile, Yangtze River, Mississippi, Amazon and Tundra showcasing 5000 animals of 300 species. Do look for the endangered species such as electric eels, anaconda, Mekong giant catfish and other land animals such as red panda, panda, squirrel monkeys and Chinese alligators. 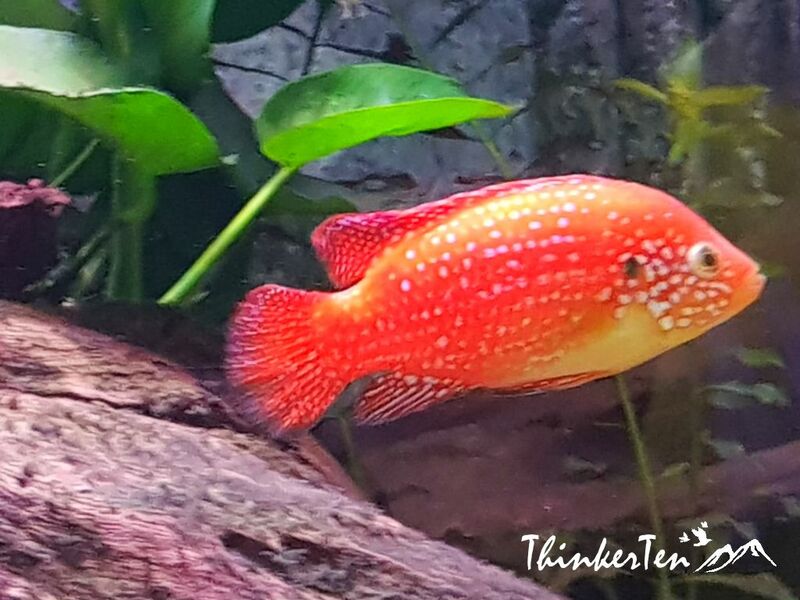 Jewel Cichlid – native to Africa, very bright in colour and pretty just like it’s name. 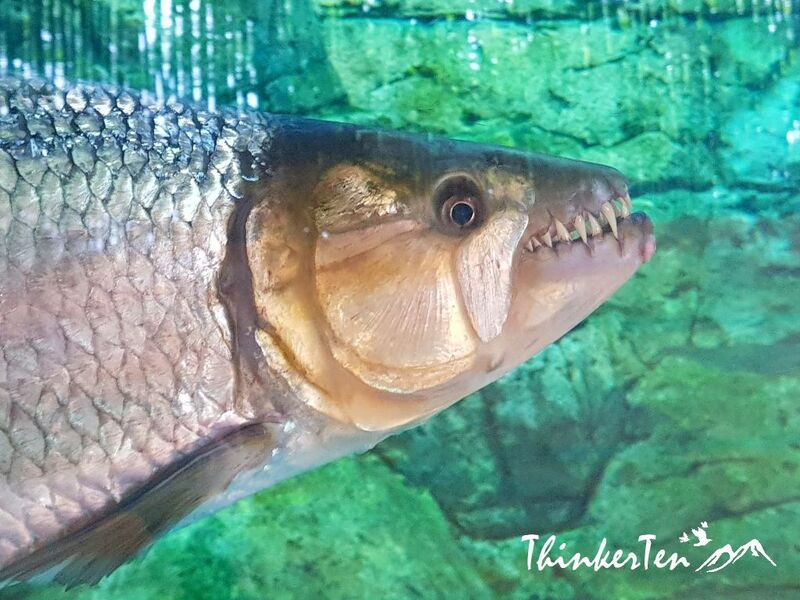 Afican Piranhas – go near and check out their scary sharp teeth, poking out and ready for powerful bites. Walk through each major rivers around the world and there are information boards telling you all the facts and wildlife stories. 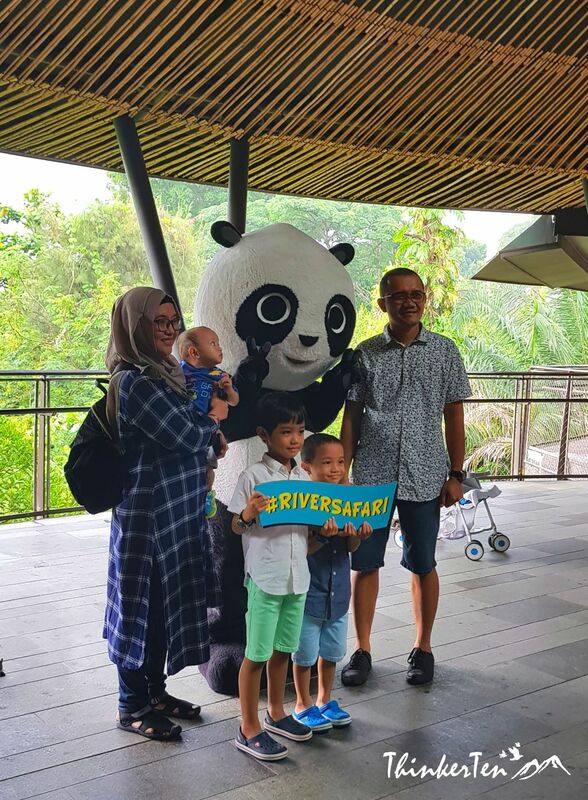 Panda Forest is the highlight of River Safari. You will enter an air-conditional room which follow pandas’ natural habitat in Sichuan, China. Red Panda is super cute and the size is smaller as compare to giant panda. 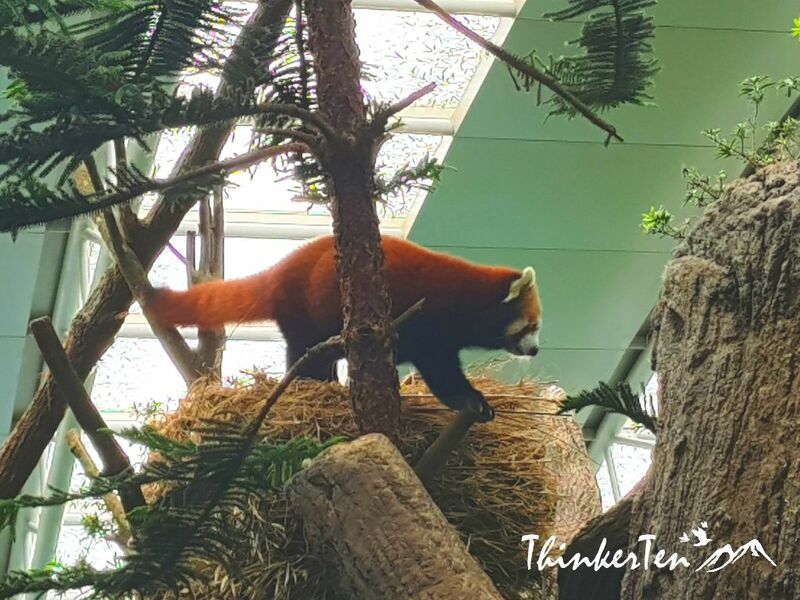 The red panda size is like the size of a racoon and good in climbing trees, also endangered species. Another name for red panda is “firefox”. 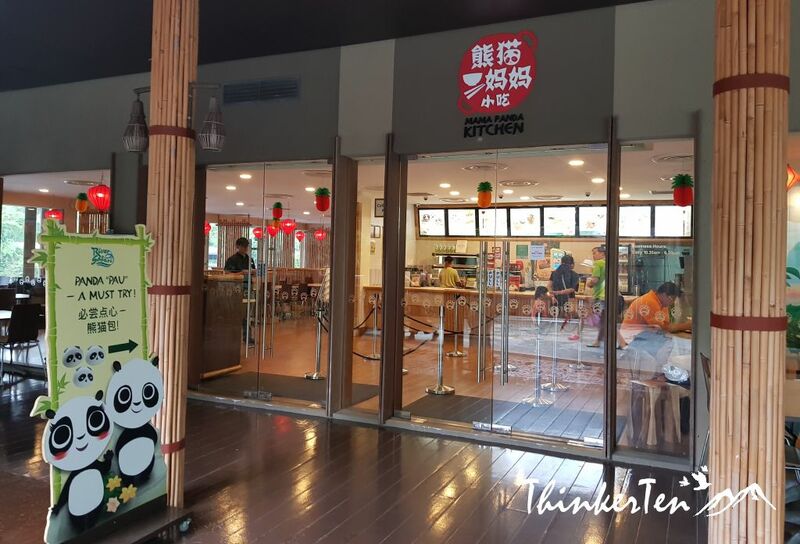 Once you exit the Panda Forest, there is a restaurant serving all the buns which looks like panda at Mama Panda Kitchen. It is always long queue during lunch time. The reservoir cruise is free, hop into this 40 pax cruise and enjoy the ride. You may see giraffes in Singapore Zoo when the cruise goes near Singapore Zoo. 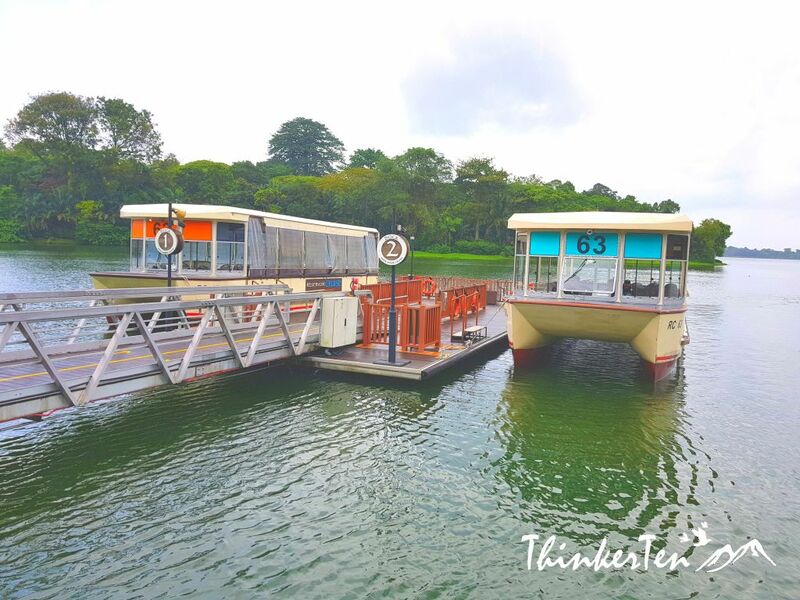 The cruise will take your around the perimeter of the River Safari, explaining the various species of wildlife but do note the queue can be very long on the weekends. There is another boat ride, smaller version but you have to pay for it, adult cost SGD $ 5 and child at $3. 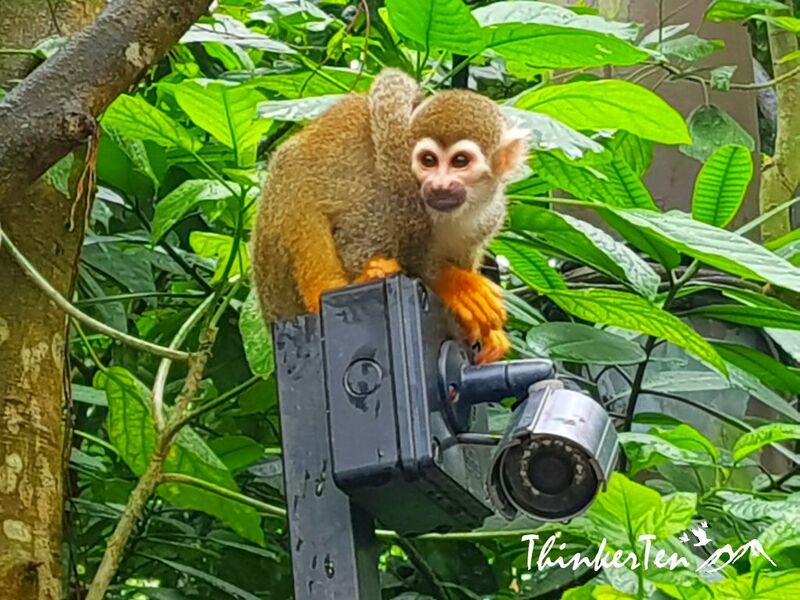 Amazon River Quest Ride will bring you to see animals, such as flamingos, Capybara and monkeys in the wild. The ride is about 10 mins and do book the ticket online or at the ticketing counter upon entry as tickets are selling fast. The 20 mins educational show start at 11 am at Amazon Square. There are some interactive with the animals if you volunteer to go up. 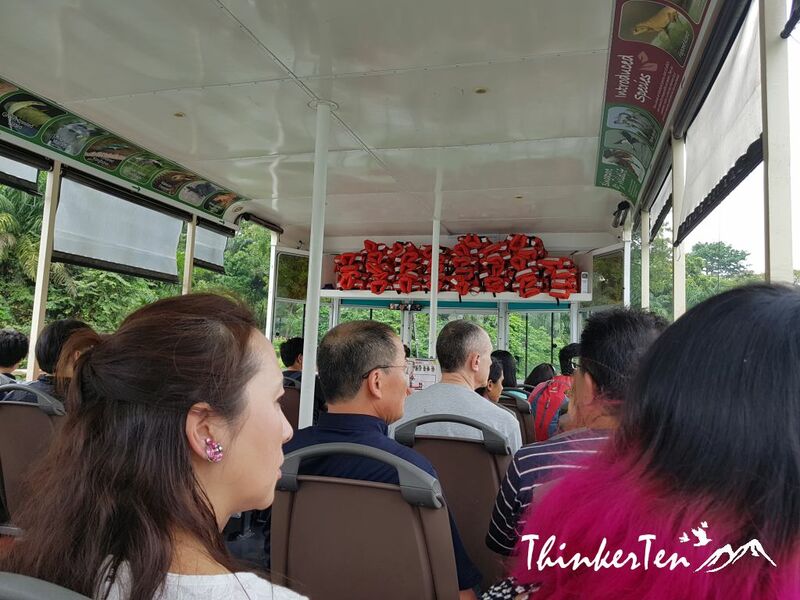 Singapore River Safari is Asia’s first and only River-Themed Wildlife Park. 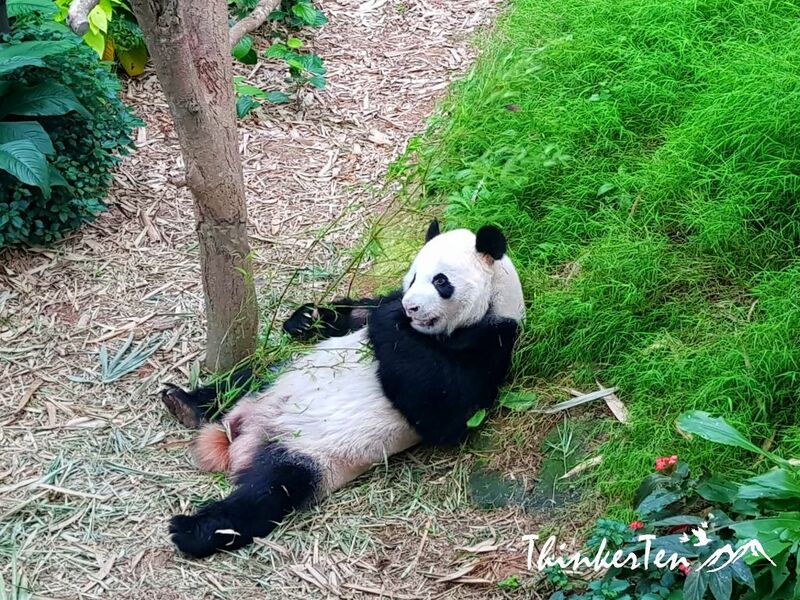 You will certainly enjoy the highlight of this park that is the 2 Panda Jia Jia and Kai Kai, plus the red panda. Do come early to avoid the crowd. Get your ticket online via Klook to avoid queue and enjoy discounted price. 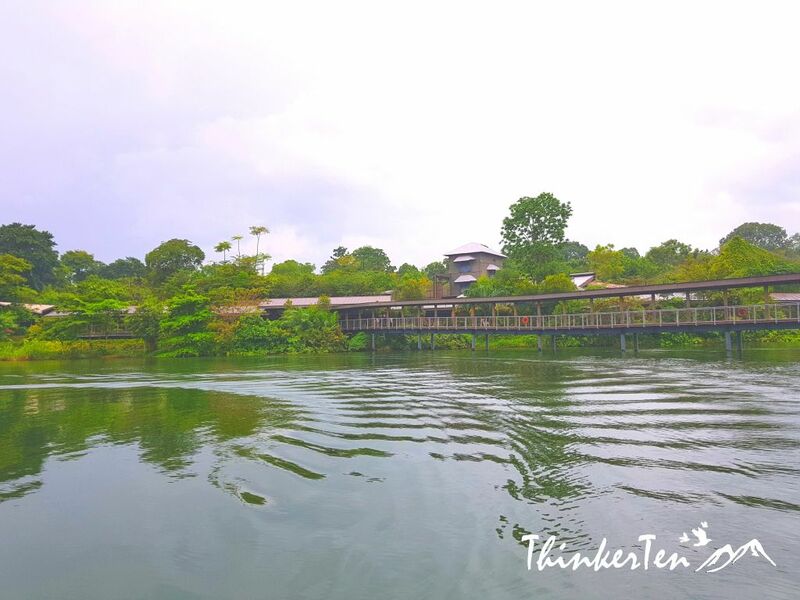 Try the two boat rides, Reservoir Cruise & Amazon River Quest ride and don’t forget to eat the panda red bean bun at Mama Panda Kitchen. Our son would love this place! He is obsessed with all sorts of fish at the moment. The red panda is my favorite. Looks like there is a great mix of things to do here. The red panda is super cute and is my favorite too. Thanks for your comment. what an amazing place to visit and learn about nature! 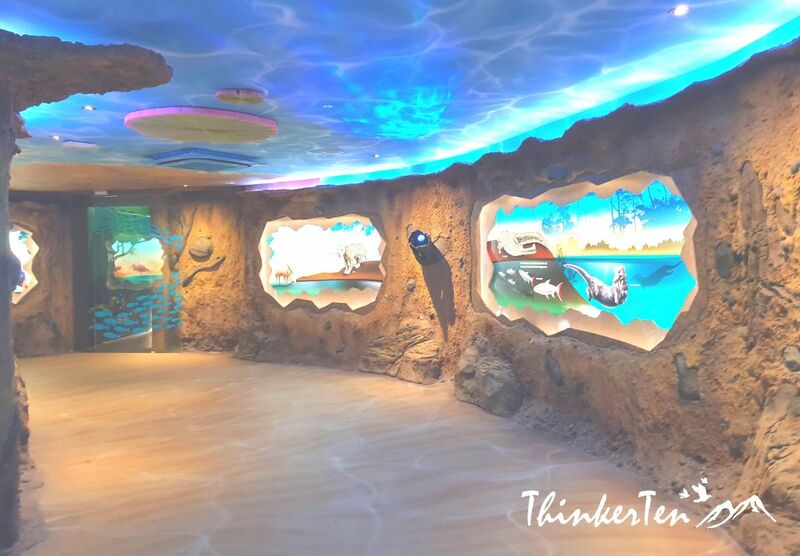 My children would be absolutely crazy to visit a place like this! Thanks for your comment. I am sure your children would love to have the boat ride and check out the animals along the river. This looks like the perfect weekend get away. 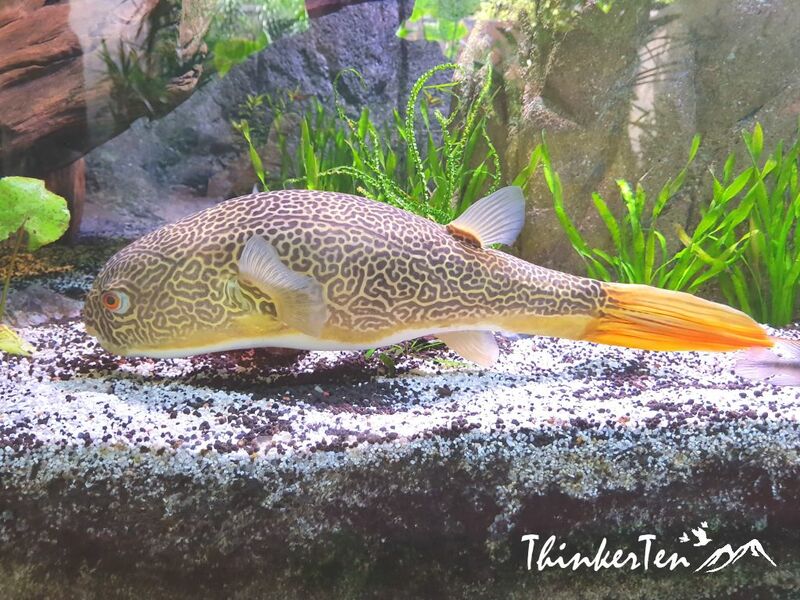 The African Pirhanas look beautiful! Thanks for your comment. 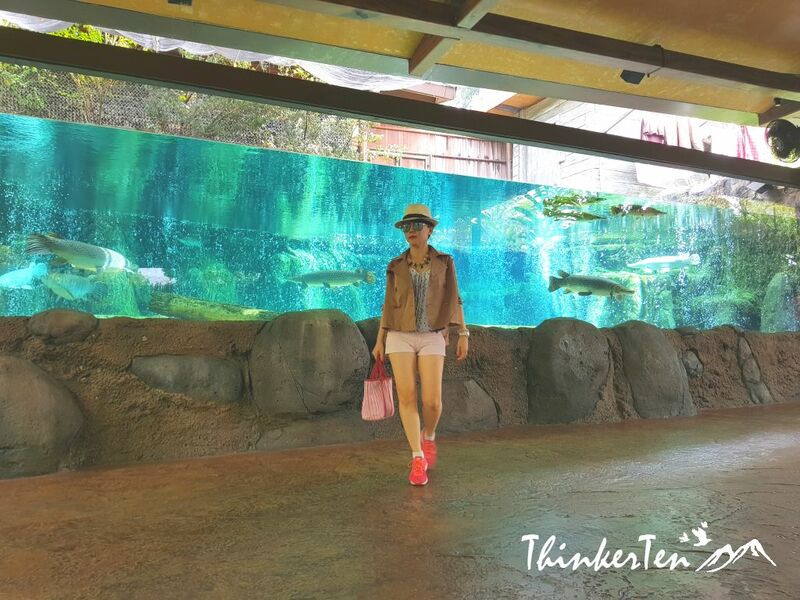 It is a great weekend getaway for family and I love the colorful fishes here. Whenever I get a chance to visit Singapore I hope to check this Safari out. 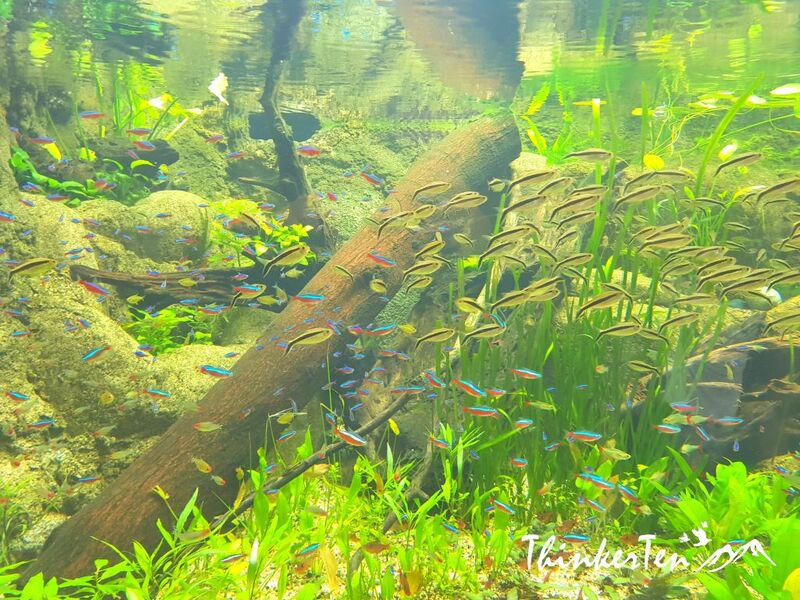 The Jewel Cichlid that’s native to Africa looks so beautiful! The piranha on the other hand looks ready to attack Lol. Looks like a great way to see some aquatic creatures and wildlife in one day! If you like wildlife River Safari is the place to go. I also get a close encounter with the piranha and check out their teeth! This is such an incredible place for a family holiday! The panda looks so cute!!! Thanks for your comment, there are two panda called Jia Jia and Kai Kai and a red panda which is smaller in size but I think is the cutest of all. 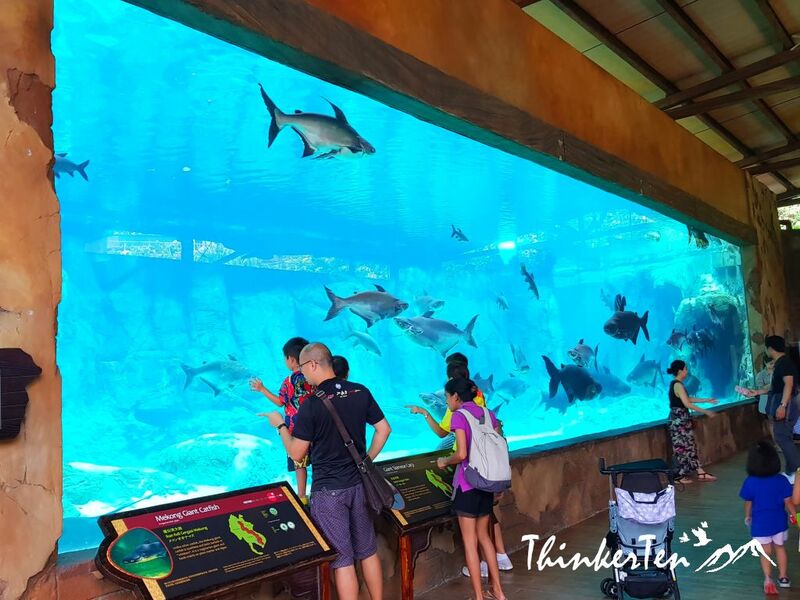 It is a nice place and do include Singapore Zoo and Night Safari for the day trip. I love the look of a river themed safari what a really lovely idea this is. It looks like you had a really awesome time. The river themed is one of the first in Asia. This looks like a great family place to visit. My kids would love to see the panda. You are right, the pandas in panda forest in River Safari is the highlights and must see attractions. Hubby and I would love to go to Singapore. I think it would be fabulous to bring the whole fam and the kids. So much to do and see. The highlight is the 5 theme river and also two boat rides plus the pandas. Thanks for your comment. 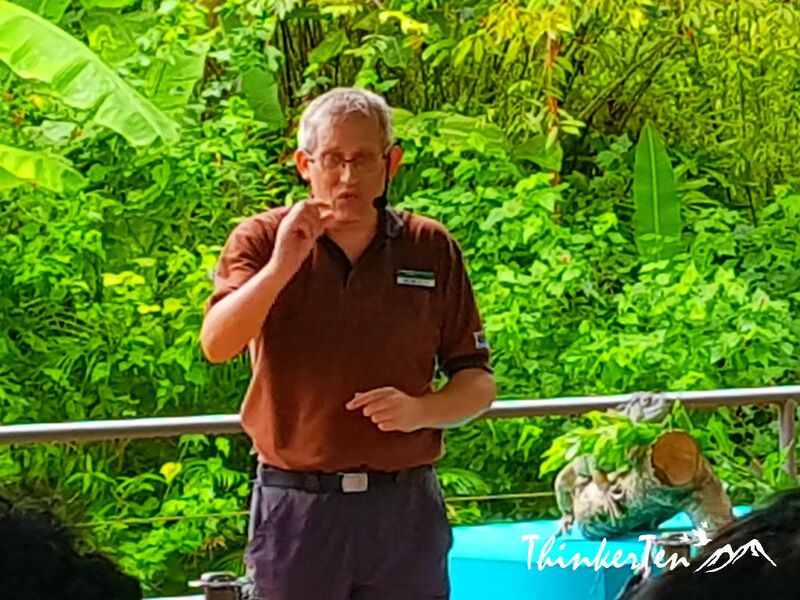 You are right about it, the River Safari has given us a closer look-see into their world. Great for family outing.